The best tyres for a standard AC Cobra would be a 185VR15 PIRELLI CINTURATO ™ CA67. It is a perfectly high performance period tyre that can handle the power and give progressive handling. The best low profile AC Cobra tyres would be 205/70WR15 PIRELLI CINTURATO ™ CN12 or 215/70VR15 PIRELLI CINTURATO ™ CN12 on the front and the 255/60VR15 CINTURATO ™ CN12 on the rear. After all this is what the Lamborghini Miura fitted to it's SV models. However today a large portion of the Cobra's out there have over sized rims and extremely powerful engines, which makes people want to fit wider rear tyres. Until recently this need has been satisfied by the wide range of tall side wall road race tyres the Avon CR6ZZ, which are excellent and offer an range of options dependent on rim size. However these are not really ideal as road tyres. 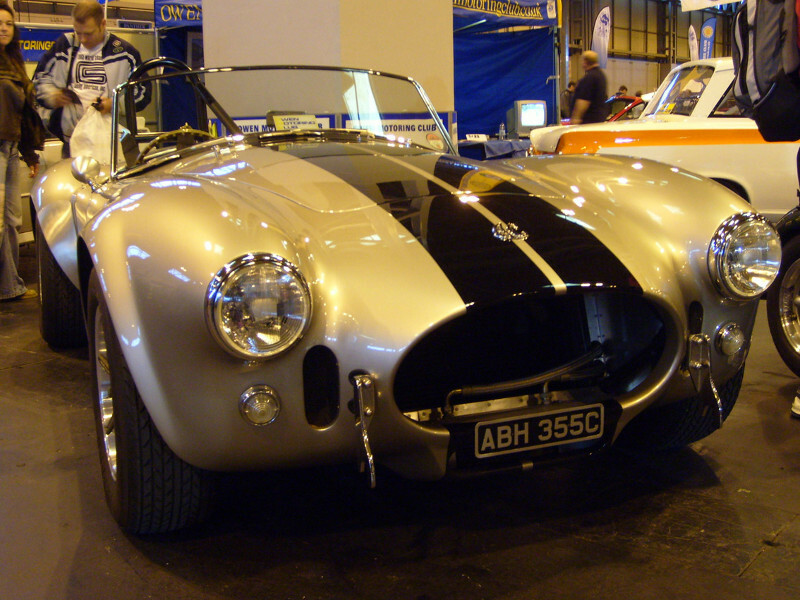 AC Cobra tyres for a standard car as recommended by Longstone Tyres. 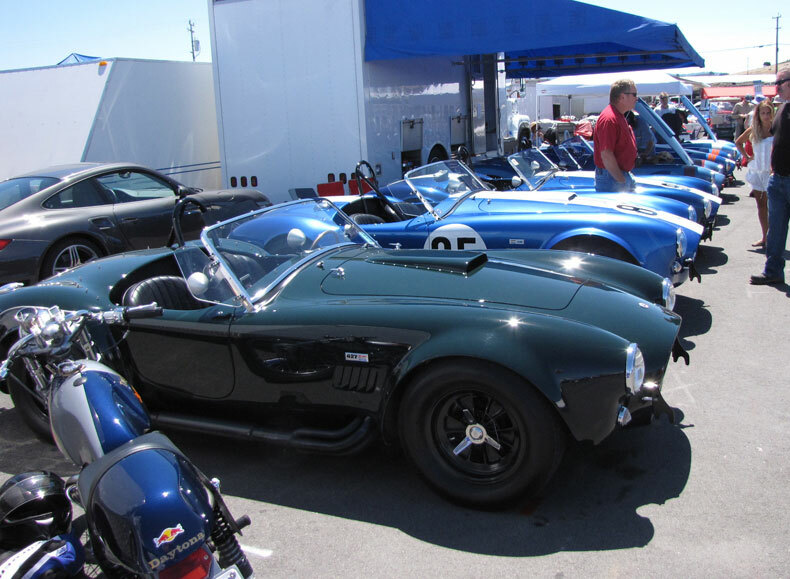 Optional AC Cobra tyres as recommended by Longstone Tyres. The AC Cobra fits a wide range of tyres, the original fitment was a 185x15 or alternatively a 205/70x15. Depending on the width of wheels used on your AC Cobra other fitments are shown above. We recommend the Avon CR6ZZ classic tyres which are excellent!The 1990s continuation Cobras (called AC Superblower) fitted 16" wheels in 225/50x16 front and 255/50x16 rear. 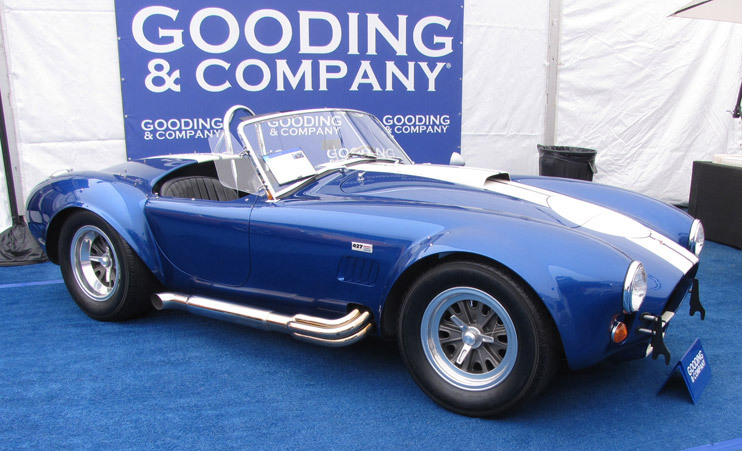 The AC Cobra first came together in autumn 1961, thanks to Carroll Shelby. It comprised of an AC Acechassis with a huge Ford V8 and a robust Salisbury back axle. The first 75 cars were equipped with a 4.2 litre engine, and the first 125 with Ace-type worm-and sector steering. From the beginning of 1963 a 4.7 litre engine and rack and pinion steering became normal. 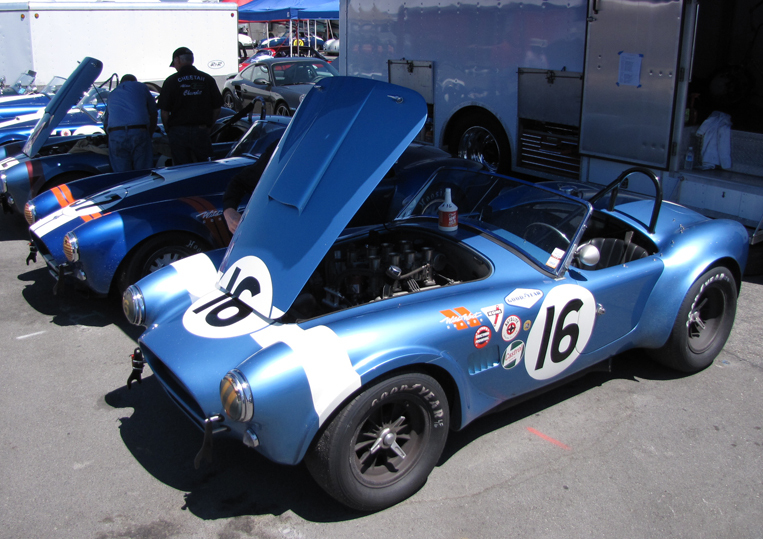 In just a few years the Cobra had been honed enough to allow the team to win the 1964 World GT Championship, beating such powerful names as the Ferrari 250GTO, and the lightweight Jaguar E-type. 1965 saw some vital changes for the AC Cobra. Firstly the transverse leaf springs were replaced by a coil-spring and double-wishbone layout. Secondly, and arguably the most dramatic transition the Cobra would face, was the replacement of the 4.7 litre engine to a 7-litre Ford Galaxie based V8. This produced a staggering 345bhp at 4,600rpm, all this in a car just over 1000kg! There was much confusion as to what the name of the car should be. 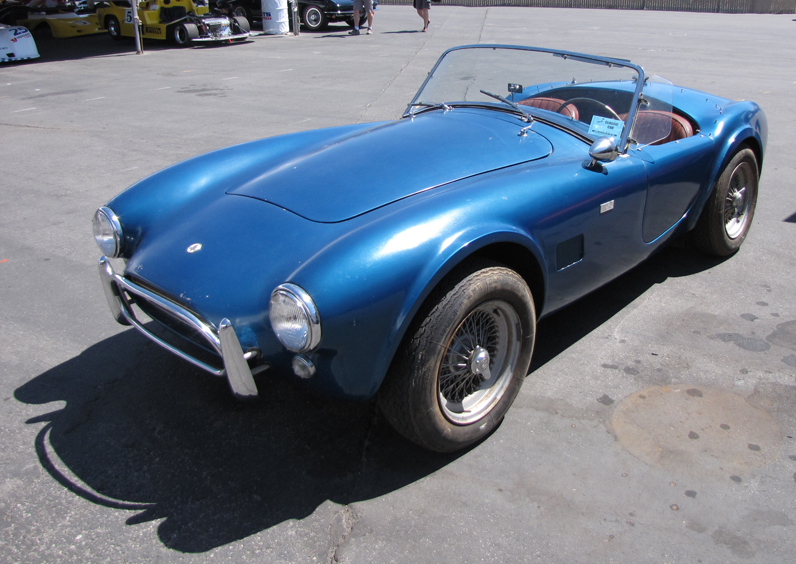 AC insisted the car be called AC, however Shelby badged and marketed it as the Shelby American Cobra. Later and even more confusingly the car was known as the Ford Cobra! Production of the AC Cobra was suspended in 1968, after which AC produced a long wheelbase version (the AC 428, which was also equipped Frua coachwork). The last of these was produced in 1973. However under new management in 1983 the car was re-introduced due to popular demand, the Cobra was now fitted with a 5 litre V8. 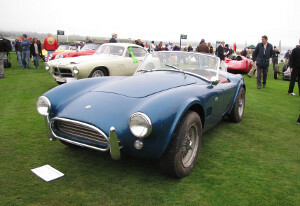 The Cobras now produced are merely recreations of the original car, with the exception of the 'Superblower', which was fitted with a supercharger and produced 355bhp! Borrani wheels are still available for your AC Cobra, as agents for the iconic Ruote Borrani Milano company we are able to supply all wheels from their extensive range. 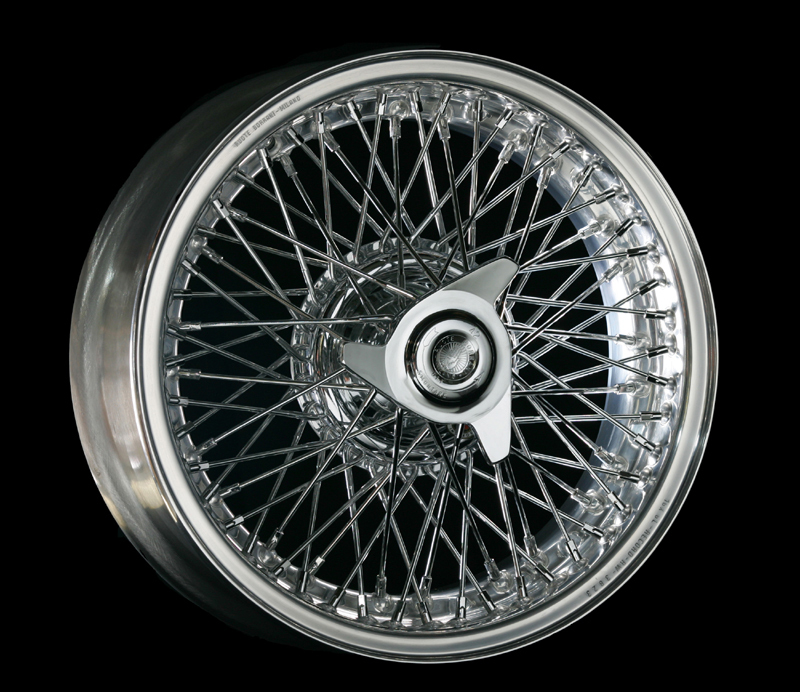 If your AC Cobra Borrani wheels require rebuilding then please contact us at sales@borrani.co.uk.